Home ⁄ Posts tagged "Seminars"
I just wanted to give you a heads-up on one-day seminar with me in Indianapolis, IN on Sunday, November 11, 2018. We're excited to announce that on May 20th, 2018, the Resilient Performance Systems team of Doug Kechijian, Trevor Rappa and Greg Spatz will be on-hand delivering their one-day course, “Movement Foundations.” This event will take place at our Hudson, MA location. It’s a great chance for coaches, clinicians, and fitness professionals to learn to more effectively integrate sports medicine concepts with performance training - including biomechanically efficient strength training and running technique, joint preparation for sport and fitness, and programming considerations throughout the lifespan; all within a model that accounts for different professional training and scope of practice. Resilient seeks to systematically explore the continuum between acute rehabilitation and athletic performance. Resilient’s clientele includes athletes and operators from military special operations forces, federal law enforcement tactical teams, Major League Baseball (MLB), National Basketball Association (NBA), professional mixed martial arts, X Games, Winter and Summer Olympics, Major League Lacrosse (MLL), National Collegiate Athletic Association (NCAA), and those with a history of persistent pain and extensive surgical backgrounds. Resilient also advises organizations about medical and performance staffing, program development, and injury risk mitigation strategies. This event has been approved for 0.8 CEUs from the National Strength and Conditioning Association. Sunday, May 20, 2018: 9am-6pm with an hour lunch break. Students can save $50 by entering the coupon code STUDENT50 (case sensitive) at checkout. Doug Kechijian is a physical therapist and co-founder of Resilient Performance Systems. Before beginning his sports medicine practice, Doug was a Pararescueman in the U.S. Air force where he deployed throughout the world to help provide technical rescue capability and emergency medical care to U.S and allied forces. In 2015, he was selected as one of the U.S. Air Force's Outstanding Airmen of the Year. Doug received his AB in Biology from Brown University and MA in Exercise Physiology/Doctor of Physical Therapy from Columbia University. Greg Spatz is a physical therapist and co-founder of Resilient Performance Systems. Before launching Resilient, Greg was a Strength & Conditioning Coach in the Arizona Diamondbacks organization. Greg received his BS in Health & Exercise Science from The College of New Jersey where he competed for the baseball team. He earned the Doctor of Physical Therapy degree from Columbia University. 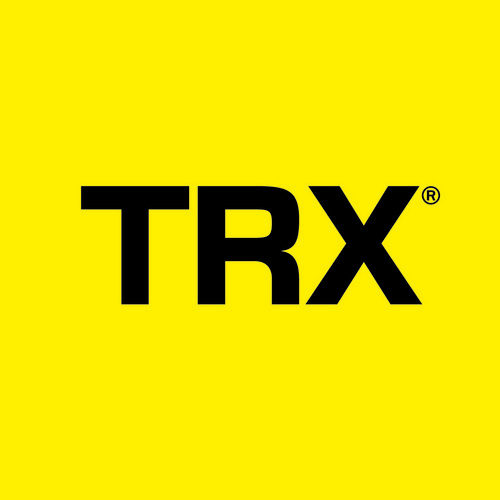 Trevor Rappa is a physical therapist and co-founder of Resilient Performance Systems. Before beginning his sports medicine practice, Trevor completed an internship at Mike Boyle's Strength & Conditioning facility. Trevor received his BS in Biology from Amherst College where he competed for the football team. He earned the Doctor of Physical Therapy degree from Columbia University. 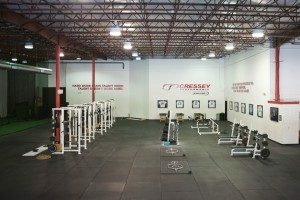 On Thursday night, October 19, the Cressey Sports Performance - Florida staff will be presenting a three-hour workshop, "Building a Better Baseball Athlete," at our Jupiter, FL location. This seminar will run from 7pm-10pm and be targeted toward coaches, scouts, parents, and players. Registration is only $20, with all proceeds going to Volunteer Florida, "the state’s lead agency for volunteers and donations before, during, and after disasters." This organization has been heavily active in light of the recent hurricane season in Florida, and we're excited to do our part to help the cause. 7-8pm: Eric Cressey - "Identifying and Addressing Windows of Adaptations in Baseball Athletes"
8-9pm: Brian Kaplan - "The What, When, and Why of Weighted Ball Training"
9-10pm: The CSP Staff - "Making Sense of Medicine Ball Training"
Given the low price point and limited space available, we expect this event to sell out quickly - so please register early to reserve your spot. I've got an important point to make today, and I think it's best illustrated with a hypothetical story. Let's say that a 14-year-old, 6-0, 140-pound kid - we'll call him Joey - comes in to Cressey Sports Performance and does an evaluation with me in September. He says that he currently throws 70-72mph, but wants to hit 80mph by the start of the upcoming spring baseball season - and that he's willing to do anything to reach that goal. We put Joey on a great strength and conditioning program - lifting, sprint/agility/jumping challenges, medicine ball drills, arm care exercises, self-myofascial release, and mobility work - and he crushes it with his nutrition. Joey gets on a solid throwing program, and fine-tunes his grip on the baseball and some mechanical flaws with our pitching coordinator. Joey gets manual therapy with our massage therapist, and also makes a dedicated effort to improve his sleep quality and quantity. He hangs out with a bunch of professional baseball players in a motivating environment, and even reads some sports psychology books to prepare himself mentally. Joey crushes his offseason with us - and puberty is still kicking in to help the cause. And, the results show up in the spring: Joey is consistently pitching harder than 80mph, surpassing his goal. It must have been the lifting, right? Or the medicine ball work? Or the arm care? Or the nutrition improvements and weight gain? Or the mechanical changes? Or a simple grip adjustment on his fastball? Or better sleep? Or just the gains associated with puberty? What I also failed to mention is that Joey was taking algebra in school. He also shoveled his driveway whenever it snowed. And he stopped eating gluten because he felt like it made him bloated. And he got a new pair of sneakers. And his mother switched from a minivan to a SUV. Joey even developed a weird ritual of half-naked shadow boxing in the mirror every night with the Spice Girls playing in the background. You've got to have a routine, right? Of course, everyone takes note of Joey's crazy progress and asks him what the "secret" was. How does Joey respond? Puberty, gluten, the minivan, and his Spice Girls infatuation are all sensitive subjects he doesn't want to publicly discuss, so those are off the table. Nobody gets excited hearing about algebra, sneakers, grip adjustments, or mobility work, so those are lame discussion points for the local newspaper interview. Hanging out with professional baseball players seems like a cooler story line, though, so that's what he goes with: his progress all had to do with environment. Nevermind the fact that Joey gained 30 pounds and started sleeping more than six hours per night. And, forget that he can actually touch his toes and do a body weight lunge without tipping over. And, overlook the fact that he is no longer throwing accidental cutters on every pitch because his delivery was so out of whack. Heck, those old shoes may have been terribly constructed and put Joey into horrible positions in his pitching delivery. I know what you're saying: this is an extreme example - and you're right. However, we see a modified version of it all the time. Tom Brady refuses to eat tomatoes. Marshawn Lynch eats Skittles during games. Chris Sale needs to eat fast food to keep his weight up. Usually, progress is incredibly multi-factorial. The results come not just from a lot of different directions, but from the synergistic interaction of many factors. And, sometimes there are other factors that may confound how we evaluate the path to success. Tom Brady is still going to be an elite NFL quarterback if he has tomatoes for dinner the night before a game. The 40 calories worth of Skittles Marshawn Lynch eats on gameday probably have zero impact on his performance. Chris Sale's slider is going to be absolutely filthy even if he chooses pizza over chicken, broccoli, and rice. And, in our example above, Joey's progress was completely unrelated to a myriad of things that took place. But, that doesn't mean we can ever really know what percentage was related to strength and conditioning vs. pitching instruction vs. nutrition vs. a host of other factors. We just know that success comes for a variety of reasons, so you have to check a lot of boxes to determine what contributed to that success. And, you have to recognize that unless you have perfectly controlled research studies, you'll likely have a very hard time isolating where the success really originated. A perfect example of this is the debate on posture's impacts on pain and performance. Anecdotal evidence tells us that it does make a difference, but the research is actually shockingly inconclusive in this regard; we just don't know exactly how big a role (if any) that it plays in one's ability to stay healthy. If you're looking to learn more about the controversial link between posture and performance, I'd encourage you to check out my popular resource, Sturdy Shoulder Solutions. I delve into this subject - along with many others - in great detail. Are You Training Mobility or Just Mobilizing? 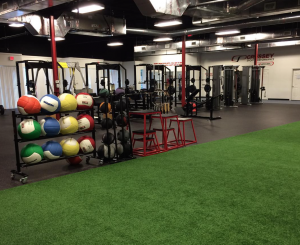 Today's guest post comes from Cressey Sports Performance coach, Frank Duffy. Enjoy! The word “mobility” gets thrown around a lot in the fitness industry, and rightfully so. However, the context in which we use it often doesn’t correspond properly with the movements we prescribe to our clients. In order to appreciate what true mobility training is, I think it’s important to first understand what it isn’t. Wrapping a band around a squat rack and stretching your upper back might feel great and improve passive flexibility when done for long enough periods of time, but improvements in active mobility will not be an outcome. This goes for practically any drill you see within a warm-up prior to a training program. I prescribe a lot of mobilization drills to our athletes where the primary intent is to get them feeling good for their training session. I love Split-Stance Kneeling Adductor Mobilizations, but I’m not going to sit here and say that – by themselves – they are a great way to improve long-term hip abduction mobility. When training to improve joint mobility, the goal is to improve active range of motion. Mobility, just like any training stimulus (strength, power, muscular endurance, aerobic capacity, etc.) we’re looking to improve follows the same principles of progressive overload in order to elicit an adaptation. Connective tissue, whether it’s a muscle, tendon, ligament, capsule, or bone (to name a few), needs to be placed under mechanical stress to remodel the tissue being addressed. When implementing the Functional Range Conditioning (FRC) system, I like to expose new clients to Controlled Articular Rotations (CARs) in order to help them understand how to properly train for long-lasting joint range of motion improvements. While CARs will not directly improve our joint mobility, they do provide us with four main benefits that I’ve listed below. 1. Assessment: CARs are a great tool for assessing the overall ranges of motion at each joint. They allow us to move each joint throughout its full range of motion under voluntary muscular contractions. When active mobility is restricted and joint function is poor, CARs also allow us to determine what our mobility training goals should be. 2. Mechanoreception: The capsule of our joint articulations is home to a high concentration of mechanoreceptors. When stimulated through end-range movements, mechanoreceptors supply the Central Nervous System with afferent feedback with information about the joint’s position in space. 3. Injury Prevention/Training Stimulus: Because CARs are performed under active contractions, the force applied to the surrounding connective tissue is below the threshold for injury (amount of force a tissue could safely absorb). When done at high enough intensity via voluntary muscular contractions, CARs could also provide a strength training stimulus for force production at the targeted joint. 4. Maintenance of Joint Range of Motion: The primary goal of executing CARs daily is to move our joints throughout their full range of motion under some degree of force. This will allow us to maintain our current ranges over time due to consistent exposure. As mentioned above, CARs are a great way to assess the quality of each joint because they isolate the articulation being moved. Of course, our joints move interdependently with virtually every movement we perform. However, if a joint doesn’t work effectively on its own, it’s not going to work well in a global system under load. A sure-fire way to induce injury is to repetitively load a position when you haven’t prepared the involved joints for force absorption. To break out even further, the “sticking points” of your CARs allow you to determine the appropriate joint angles at which to perform isometric contractions for both the progressive (lengthened) and regressive (shortened) tissues. By figuring out your active range of motion limitations, you’re able to create positional isometrics to learn how to expand these ranges further. With individuals that present osseous restrictions like Femoroacetabular Impingement (FAI), I still recommend CARs on a daily basis. Regardless of structural orientation, it’s important to move through whatever active range of motion you currently own. As cliché as it sounds, if you don’t use it, you lose it. However, if CARs elicit pain, there’s an underlying issue that should be referred out to an appropriate rehabilitation specialist. Cranking a joint through a painful range of motion and hoping it will get better is just a recipe for further irritation – and an articulation that continues to function at less-than-optimal quality. Whether you’re the most nimble yogi on the planet or a powerlifter that’s as stiff as a board, you should always seek ways to expand and control your mobility. Remember, mobility always comes back to active range of motion. With this in mind, it’s important to understand that there’s no such thing as having “too much” mobility. The more range you can control, the better off you’ll be. If you’re interested in learning more or finding a provider near you, check out the following links: FR/FRC and Kinstretch. 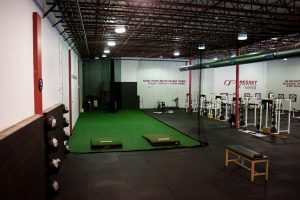 Frank Duffy is the Coordinator of Strength Camps at Cressey Sports Performance-Massachusetts. He is a Functional Range Conditioning Mobility Specialist (FRCms) and Kinstretch Instructor. You can contact him via email at frankduffyfitness@gmail.com, check out his website, and follow him on Instagram. I just wanted to give you a heads-up on one-day seminar with me in Atlanta, GA on Sunday, November 5, 2017. Note: we'll be capping the number of participants to ensure that there is a lot of presenter/attendee interaction, so be sure to register early. Each of the previous offerings of this seminar sold out well in advance of the early-bird registration deadline. Questions? Please email ec@ericcressey.com (organizer) or mike.berenger@go-rapid.com (host).